New research carried out by the John Innes Centre has delved into the genetic memory systems through which plants pass seasonal information down to their seeds to give them the best chance of reproductive success. Plants integrate seasonal signals such as temperature and day length and use this memorised information to optimise the timing for key lifecycle stages. These development transitions include flowering, seed dispersal and seed dormancy a timely tactic employed by "mother" plants to ensure seed germination happens in optimal conditions when seedling survival rate is high. Seasonal sensing requires the activity of two well characterised genes Flowering Locus C (FLC) and Flowering Locus (FT) the former a temperature sensor that acts as a brake to flowering and the latter a daylength sensor. Previous studies have indicated that FLC acts on FT in a linear fashion to deliver seasonal information that promotes flowering. Now this new study led by Professor Steven Penfield of the John Innes Centre, has identified the precise mechanism by which temperature information is passed from mother to seeds. "What is interesting about these new findings is that the same genes which control the timing of flowering also control seed germination, but act in reverse order," said Professor Penfield. The study, which appears in the peer reviewed journal Science, shows that the two genes gather temperature information from the environment and share this with progeny during seed set. "The mother plant uses seasonal information to control the behaviour of the progeny to optimise fitness," explains Professor Penfield. "We discovered some time ago is that the mother generates diversity, and the mechanism the mother uses is variation in temperature because as temperatures vary, plants produce seeds that are slightly different, in size, in number." In this way, the BBSRC-funded research finds, the mother plant exploits environmental temperature variation to create diversity in seed type and behaviour—a kind of reproductive bet-hedging in which the plant uses temperature information to create a diverse and widely spread offspring. 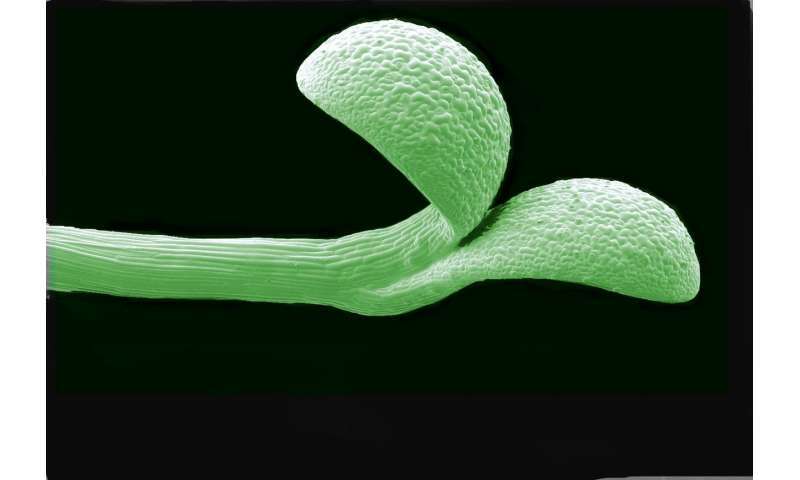 This mechanistic insight into the model species Arabidopsis thaliana can lead to better crops, say the study authors. "Greater understanding of how plants communicate seasonal information to their offspring will help efforts to create crops that cope better with climate change," explains Professor Penfield. "If we understand the mechanism by which plants cause variation in progeny year to year, we can learn how to breed more stable crops," he added.